Under Canadian law, it is reasonable for employers to expect employees to conduct their work while sober. Yet, with the legalization of recreational cannabis expected later this year and impairment difficult to detect, employers are concerned about workplace safety. “When it comes right down to it, I feel like we don’t really understand what the safety implications are,” said Nancy Carnide, post-doctoral fellow at the Institute of Work and Health in Toronto. “Using it before work, using it at work, certainly that’s problematic,” she said during the keynote address at a human rights conference in Toronto in April. Cannabis is a complex plant in terms of its tetrahydrocannabinol (THC) and cannabidiol (CBD) components, said Mark Ware, director of clinical research at the Alan Edwards Pain Management Unit at the McGill University Health Centre in Montreal, and vice-chair of the task force that provided guidance to the Canadian government in its effort to legalize and regulate marijuana. “When you talk about cannabis, you’re talking about a complex botanical substrate and THC is the predominant psychoactive drug,” he said at the conference. Type of cannabis, the context in which it is ingested, and individual response each play a role in the drug’s effect, clouding what constitutes impairment, according to Ware. Further confusing the discussion is the fact that impairing effects of THC can reside within the human body for anywhere from six hours to 28 days, he said. 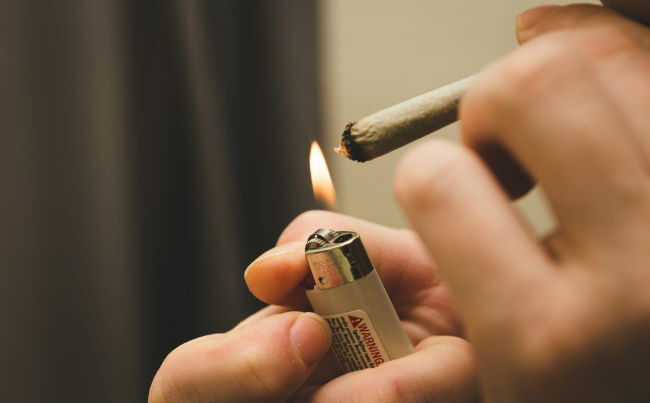 Comparing cannabis to a drug like alcohol is a mistake, said Dan Demers, senior manager for strategic business development at CannAmm Occupational Testing Services in North Bay, Ont. While alcohol’s effects on the human body can be accurately predicted and timed, the same linear patterns don’t exist with marijuana, he said. With legalization on the near-horizon, Canadian employers should expect consumption to increase across the board — in both administrative and safety-sensitive roles, he said. Employers are putting a major emphasis on cannabis, with reasons based on morality rather than science, he said. The nature of marijuana means there is no equivalent breath-testing device to determine immediate impairment, said Barry Kurtzer, medical director of DriverCheck, a workplace drug testing company based in Ayr, Ont. As such, employers cannot simply rely on a drug test as a standalone tool to identify workplace impairment, but must create a more meaningful assessment program that sees tests run parallel to documented events with multiple eyewitnesses, he said. More research and court direction are necessary before workplace drug testing will be considered “a beneficial tool versus a punitive witch hunt,” said Kurtzer. With definitions of impairment and appropriate testing still up in the air, HR practitioners will have several issues to consider if faced with a scenario of suspected cannabis usage, said Lisa Stam, employment lawyer and founder of SpringLaw in Toronto. If the employee in question has declared an addiction, or if the usage is deemed medical in nature, the situation could require workplace accommodation, she said. Testing is an option for workers in safety-sensitive environments, but not in office settings, she said. And without a safety-sensitive job, obvious behaviour or clear performance impact, employers cannot force staff to disclose usage. Safety-sensitive employers looking to implement a fit for duty standard need to balance interests of safety and cut-off limits with human rights and labour legislation, said Demers. This type of policy can include compliance standards such as pre-employment, post-incident and reasonable suspicion testing. While a policy is not an obligation for all employers, they should, at the very least, reflect on their business activity and need for workplace standards, said Demers. “Any organization would benefit from a policy that addresses substance use in the workplace, whether they’re safety-sensitive or not,” he said. Post-legalization, employees who spend time in the United States still won’t be able to cross the border while possessing the drug, according to Kurtzer. Going forward, policy should shift towards the impact a drug could have on an employee’s ability to do their job, said Stam. Extending workplace drug policies to include cannabis alongside alcohol remains a solid starting point, however, said Stam. Policies should start conservatively, but be flexible, said Carnide. Employers would be wise to call upon occupational health specialists and other experts to write and review policy, as there can be different approaches — depending on the province and collective agreements, said Kurtzer. “Sometimes, having an external set of eyes from an expert on these things is very important, especially in these early days,” he said. In the absence of research, training and education of both supervisors and staff are crucial, said Carnide. “Educating workers about the potential risks, if any, on workplace outcomes is absolutely essential,” she said. • a reduced ability to react quickly. Effects can be felt within seconds to minutes of smoking, vaporizing or dabbing cannabis. These effects can last up to six hours or longer. If a user eats or drinks cannabis, effects can occur within 30 minutes to two hours and can last up to 12 hours or longer.